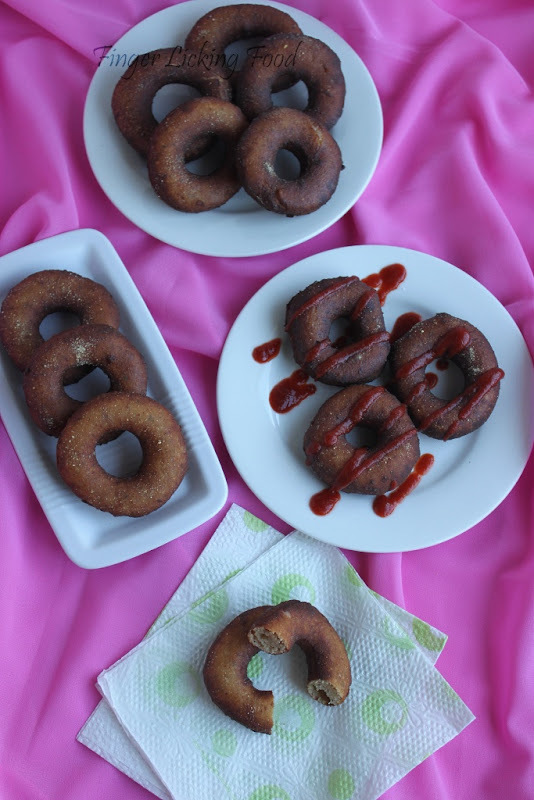 I made Alton Brown's yeast doughnuts. I chose to make them savory instead of sweet since I have more savory food lovers in the family than ones who enjoy sweet stuff. This is probably the very first time while gearing up for a challenge that I failed to notice I was short on all purpose flour. I had just about a cup and a third, and it was too late to quarter the recipe since I had already prepped the yeast and other ingredients for half the recipe. I had no all purpose flour substitute, so decided to go ahead and add a cup of wheat flour instead. I kept my fingers crossed the whole time the dough was rising and while the doughnuts were in the fryer. 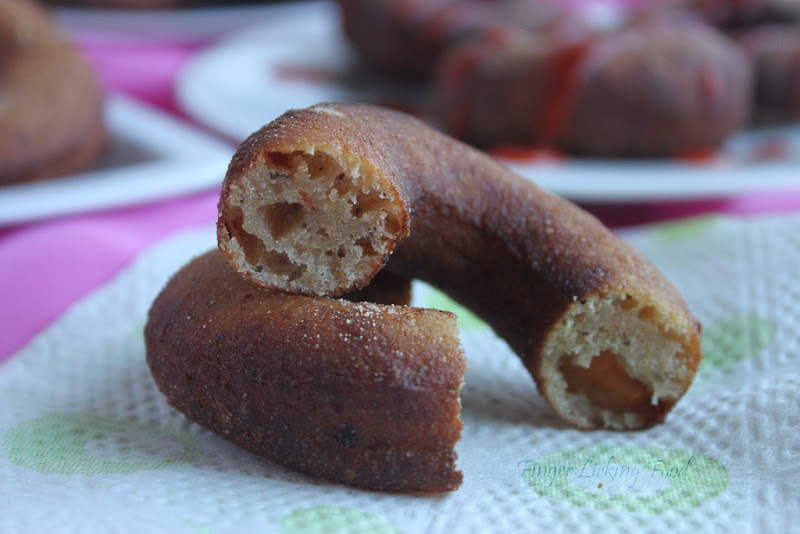 Thankfully they turned out good but not the same texture as doughnuts made with all purpose. These were slightly denser but tasted good. I will try making them with only all purpose flour sometime. I also used Butter instead of Vegetable Shortening. Half of this recipe yielded 20 doughnuts. 2.Place the shortening in a bowl and pour warmed milk over. Set aside. 3.In a small bowl, sprinkle the yeast over the warm water and let dissolve for 5 minutes. It should get foamy. After 5 minutes, pour the yeast mixture into the large bowl of a stand mixer and add the milk and shortening mixture, first making sure the milk and shortening mixture has cooled to lukewarm. 4.Add the eggs, sugar, salt, nutmeg, and half of the flour. Using the paddle attachment of your mixer (if you have one), combine the ingredients on low speed until flour is incorporated and then turn the speed up to medium and beat until well combined. 5.Add the remaining flour, combining on low speed at first, and then increase the speed to medium and beat well. Add the dried basil, garlic powder, parmesan and chilli flakes. 6.Change to the dough hook attachment of the mixer and beat on medium speed until the dough pulls away from the bowl and becomes smooth, approximately 3 to 4 minutes (for me this only took about two minutes). If you do not have a dough hook/stand mixer – knead until the dough is smooth and not sticky. 7.Transfer to a well-oiled bowl, cover, and let rise for 1 hour or until doubled in size. 8.On a well-floured surface, roll out dough to 3/8-inch (9 mm)thick. (Make sure the surface really is well-floured otherwise your doughnuts will stick to the counter). 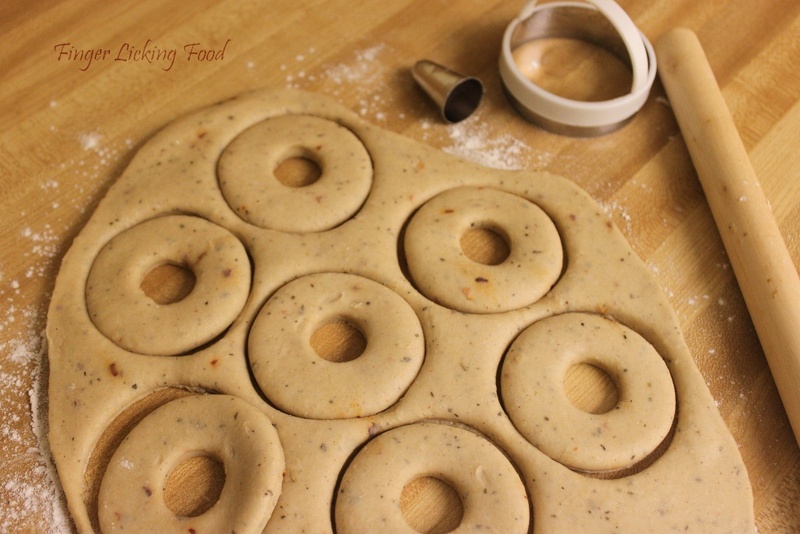 9.Cut out dough using a 2 1/2-inch (65 mm) doughnut cutter or pastry ring or drinking glass and using a 7/8-inch (22 mm) ring for the center whole. Set on floured baking sheet, cover lightly with a tea towel(or plastic wrap), and let rise for 30 minutes. 10.Preheat the oil in a deep fryer or Dutch oven to 365 °F/185°C. 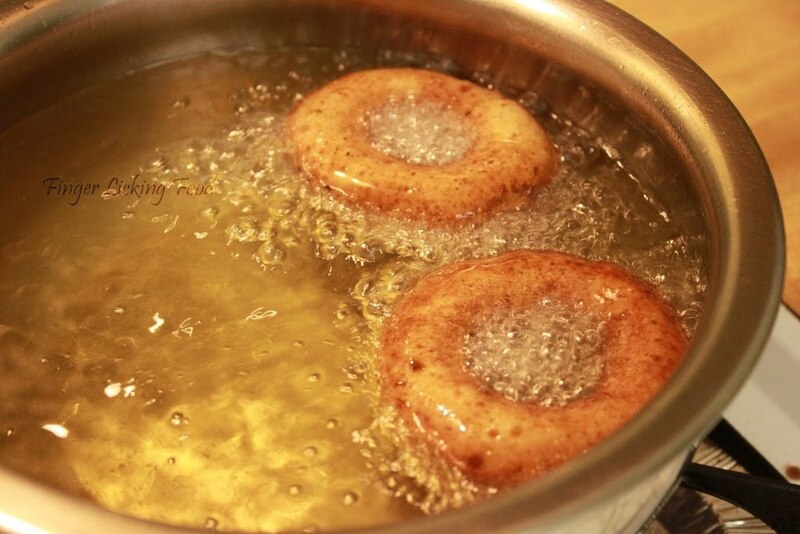 11.Gently place the doughnuts into the oil, 3 to 4 at a time. Cook for 1 minute per side or until golden brown. My doughnuts only took about 15 seconds on each side at this temperature). They browned quickly. 12.Transfer to a cooling rack placed in baking pan. Allow to cool for 15 to 20 minutes prior to glazing, if desired. While the doughnuts were still hot I brushed them with a little melted butter and sprinkled garlic powder on top. 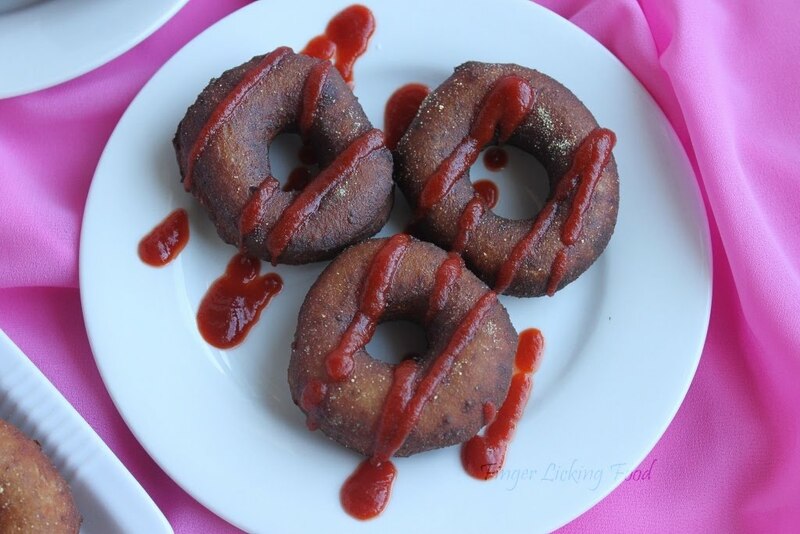 Wowo i love the idea of savoury doughnuts. They looks so good. 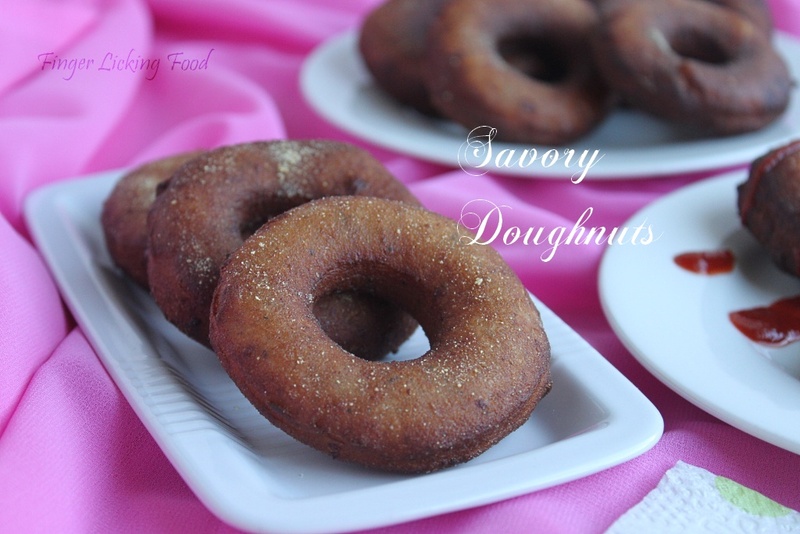 Parmesan donuts - oh wow they sound good! It's amazing how quickly us Daring Bakers can run out of flour! Love the savoury doughnuts!! Well done on the challenge. Donuts look so inviting and perfect! Savoury donuts sounds great. Well done on the challenge.